When it comes time to sit down for your family dinner, you and your loved ones deserve nothing but the best. At Sendero Brothers, we offer mouthwatering beef that will be a hit at the dinner table and that you'll feel great about serving to your family. 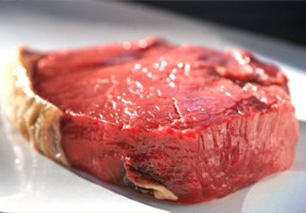 Our beef is ethically and humanely raised in a stress-free environment without the use of antibiotics or growth hormones. Taste for yourself the difference that all-natural beef makes! 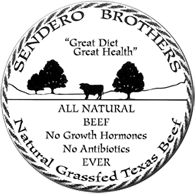 For the past decade, Sendero Brothers all-natural, grass-fed beef has been raised right here on our ranches in Mingus, TX, just west of Dallas-Fort Worth and overlooking the Red Fork of Rush Creek south of Mingus. We are roughly half way between Forth Worth and Abilene. 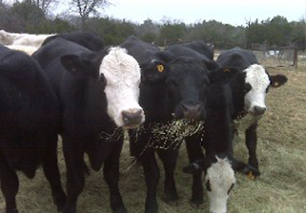 Here, you will find the best in native grasses, cool clear water, and an atmosphere of low stress that provides our cattle with exactly what they need to bring you and your family a diet low in saturated fat, high in CLAs, high in omega-3, and low in cholesterol. 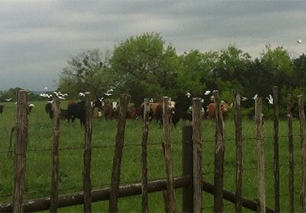 Our customers have come to expect delicious grass-fed beef that is produced ethically and humanely. With more than 30 years of experience in the industry, we know what it takes to deliver exactly what our customers want. Call today to place your order.